Celebrity attorney Michael Avenatti could face more than 330 years in prison after he was charged with 36 counts, including tax violations, embezzlement, and fraud. Avenatti, 48, was indicted by a grand jury in Southern California on a slew of other charges after he was arrested last month in New York, reported The Associated Press. “If convicted of the 36 crimes alleged in the indictment, Mr. Avenatti would face a statutory maximum sentence of 333 years in federal prison plus a mandatory two-year consecutive term for an identity theft count,” said an official in the CBS video. A jet co-owned by Avenatti, a frequent critic of President Donald Trump, was seized on April 10 as part of an investigation, AP reported. 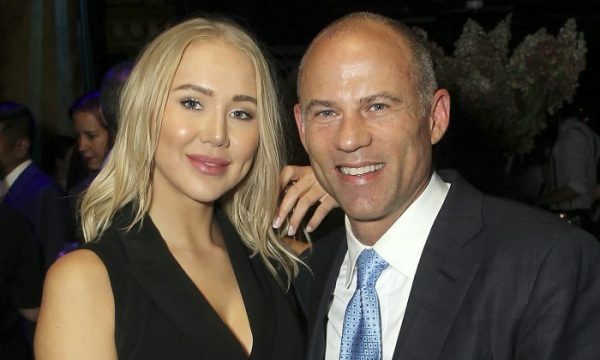 “These four areas of criminal conduct alleged in the indictment are all linked to one another because money generated from one set of crimes appears in other sets—typically in the form of payments to lull victims and to prevent Mr. Avenatti’s financial house of cards from collapsing,” U.S. Attorney Nick Hanna told AP. Hanna added that the high-powered lawyer “received money on behalf of clients and simply took the money to finance his businesses and his personal expenses,” reported the Los Angeles Times. “By way of example only (there are MANY more like this), here is a document Mr. Johnson signed less than a month ago attesting to my ethics and how his case was handled. I look forward to proving my innocence,” Avenatti tweeted. Avenatti, the Times reported, is free on $300,000 bond.